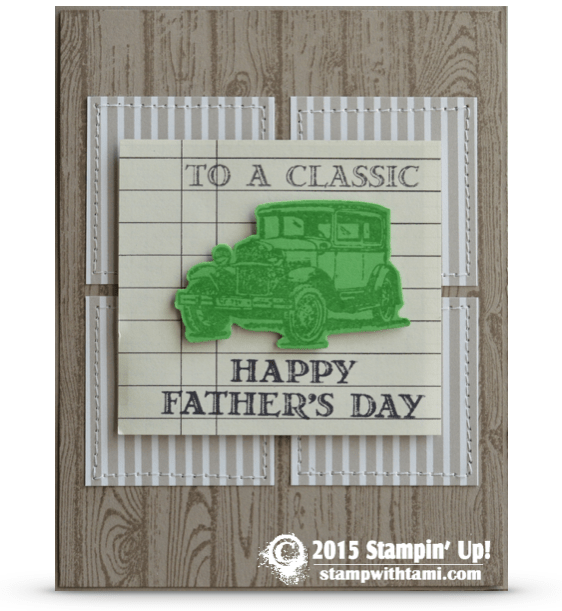 Welcome to my Stamp It Demonstrator’s Group Mantown Theme themed Blog Hop. We’re all really excited to unveil our projects that we’ve been crafting for you. You may be just beginning your journey through our blogs, or you may have arrived from Kim Quade’s blog. To continue on your journey through our Masculine projects, simply use the buttons on each post. My share today is a “classic” for Father’s Day (pun intended lol). From the Guy Greetings stamp set, naturally, with some Hardwood stamp for the background. Designed by Veronica.